It’s now been a month since I started this Household Management challenge. Looking back over the last 33 days, it’s already been an incredibly interesting journey. I’ve tried quite a few things that I’d never have tried otherwise (Carrot Jam, Dampfnudeln). Some things I won’t be trying again (Apple Soup, anyone? ), but others will probably stick with me long after Mrs Beeton in 365 Days is over. My household accounts are already in far better shape, for one. But the thing is, when I first started this experiment I thought the focus would be much more ‘’householdy’’. Instead, a lot of this challenge has so far revolved around the kitchen. In a way, Mrs Beeton’s Book of Household Management is really just a cookery book, with the kitchen as the star, the diva, the prima donna. The chapters that provide advice to members of the household – the supporting cast, if you will – act as the backdrop against which the kitchen can properly function. Part of the problem in applying Victorian advice to the 21st century, is that a lot of it just isn’t that relevant anymore. At least, not in ordinary, non-toff households. No one I know has a Butler, Footman, Housekeeper, Cook, Maid-of-all-Work, Laundry Maid, Cook, etc. (sometimes I wish I did!). My boyfriend and I hired a weekly cleaner several months ago, which was possibly the biggest thrill I’ve felt since discovering Bretzeln (freshly baked pretzels). But I felt so awkward about having a stranger in the house, and not knowing the proper employer-cleaner etiquette, that we let her go within a couple of months. The core of Household Management – the beautiful, bountiful recipe sections – remains absolutely relevant today. Even if the world were to be taken over by robots and aliens tomorrow, cooking – and the kitchen – will always play a central role in daily life. A world without it wouldn’t be a world worth living in. 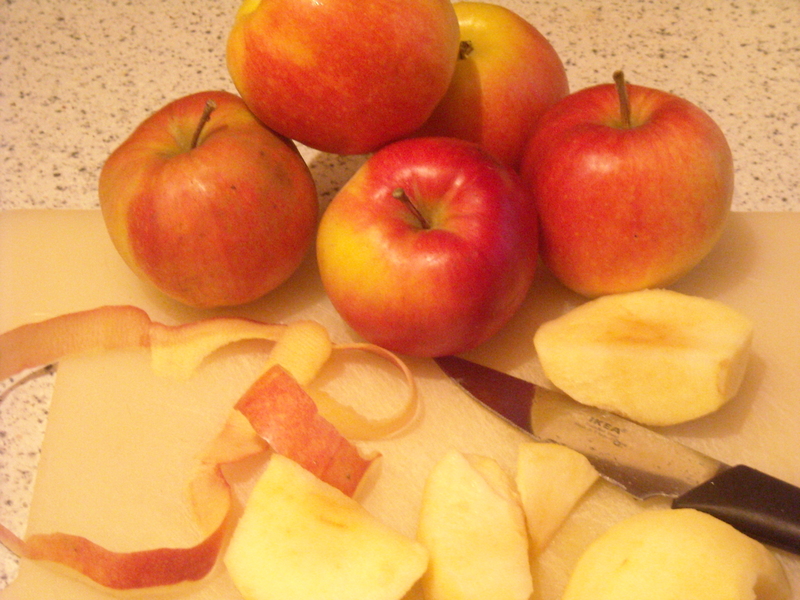 In the meantime, as it’s still apple season here in Germany, I lugged home 4 kilos from the market yesterday. I spent the entire day in the kitchen, with Household Management by my side. 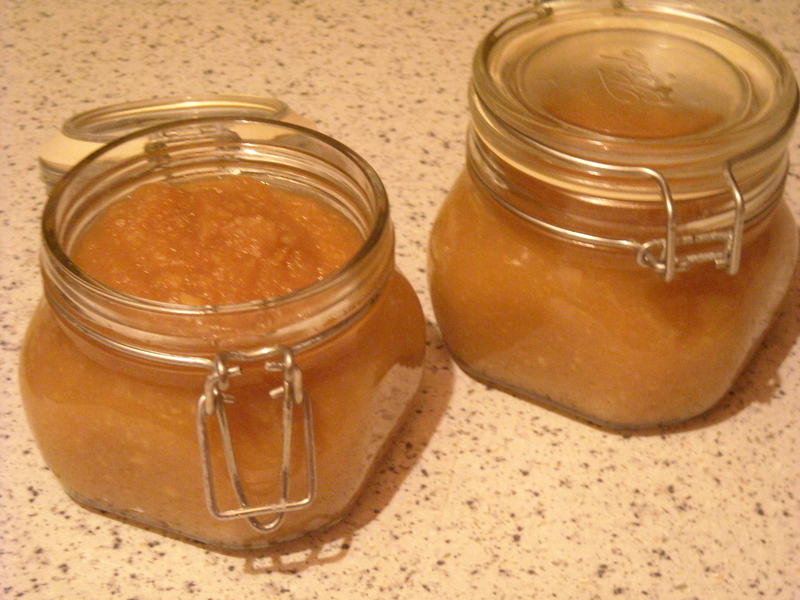 Most of the day was spent making preserves, including Apple Sauce. I also made another quantity of her delicious custard, which I liberally doused over some Apple Crumble for dessert this evening. 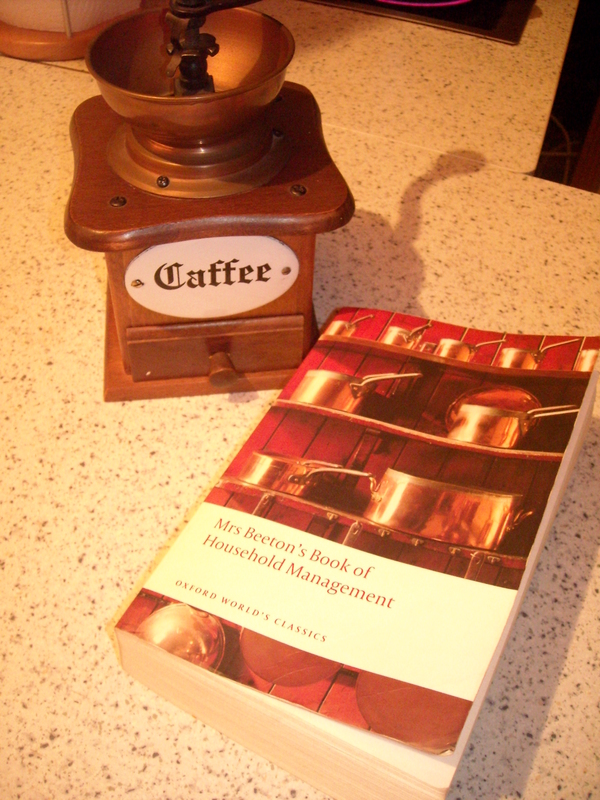 Perhaps I’m making too hasty a judgment about Household Management’s wider value outside the kitchen (after all, it’s fairly long and I have several hundred pages yet to get through). 332 more days will tell! This entry was posted on December 20, 2009 at 9:21 pm and is filed under food, Lifestyle. You can follow any responses to this entry through the RSS 2.0 feed. You can leave a response, or trackback from your own site. I love cooking. Thank you for this posting.